Sarah Wilson taught us how to quit sugar in 8 week, how to quit sugar for life and, most recently, how to cook simple and delicious essentials. 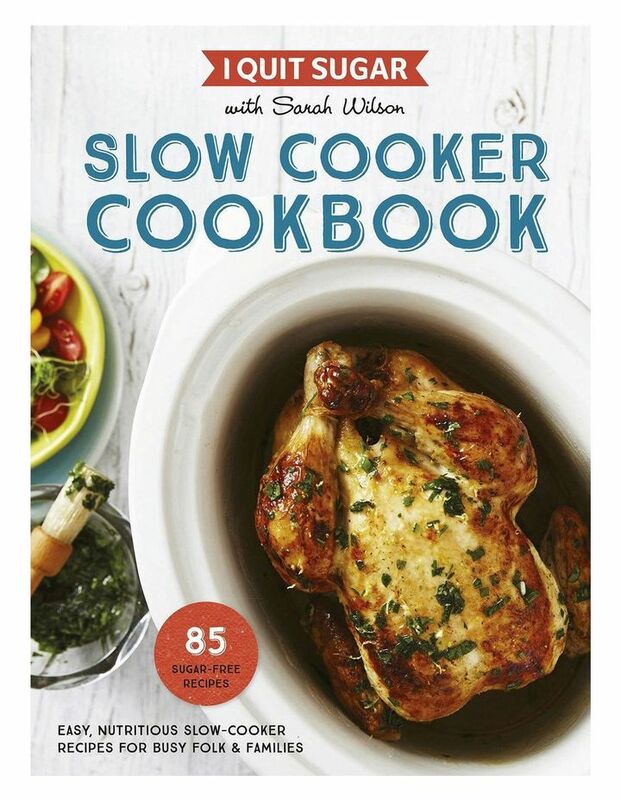 Now Sarah incorporates her mindful, sustainable and economical practices to bring back the slow and low approach of slow cooking. This cookbook contains 85 recipes. These simple and densely nutritious slow-cooked meals contain no or very low sugar and are designed to feed the family, individuals and people on-the-go. Use a slow cooker, use leftovers and buy sustainable cuts of meat. Create simple staples and clever sides. Start the day with hearty breakfasts and weekday dump 'n' runs. Slow cook soups and stews, curries and comfort classics or, for those more adventurous, a little offal! Sweeten your day with slow cooked sugar-free cakes and puds.